Fintech startup Flutterwave has partnered with Visa to launch a consumer payment product for Africa called GetBarter. The app based offering is aimed at facilitating personal and small merchant payments within countries and across Africa’s national borders. Existing Visa card holders can send and receive funds at home or internationally on GetBarter. The product also lets non card-holders (those with accounts or mobile wallets on other platforms) create a virtual Visa card to link to the app. A Visa spokesperson confirmed the product partnership. 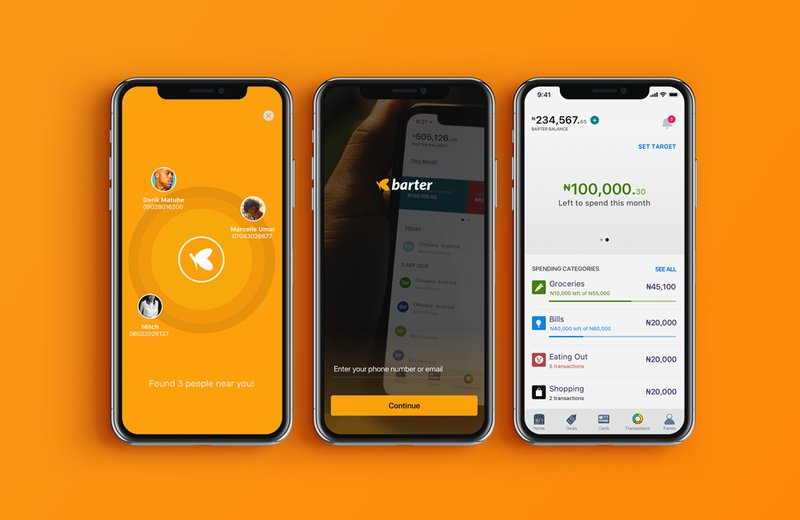 GetBarter allows Flutterwave—which has scaled as a payment gateway for big companies through its Rave product—to pivot to African consumers and traders. “Rave is B2B, this is more B2B2C since we’re reaching the consumers of our customers,” Flutterwave CEO Olugbenga Agboola—aka GB—told TechCrunch. The app also creates a network for clients on multiple financial platforms, such as Kenyan mobile money service M-Pesa, to make transfers across payment products, national borders, and to shop online. “The target market is pretty much everyone who has a payment need in Africa. That includes the entire customer base of M-Pesa, the entire bank customer base in Nigeria, mobile money and bank customers in Ghana—pretty much the entire continent,” Agboola said. “In phase one we’ll pursue those who are banked. In phase-two we’ll continue toward those who are unbanked who will be able to use agents to work with GetBarter,” Agboola said. Flutterwave and Visa will generate revenue through fees from financial institutions on cards created and on fees per transaction. A GetBarter charge for a payment in Nigeria is roughly 40 Naira, or 11 cents, according to Agboola. With this week’s launch users can download the app for Apple and Android devices and for use on WhatsApp and USSD. Founded in 2016, Flutterwave has positioned itself as a global B2B payments solutions platform for companies in Africa to pay other companies on the continent and abroad. It allows clients to tap its APIs and work with Flutterwave developers to customize payments applications. Existing customers include Uber, Facebook, Booking.com, and African e-commerce unicorn Jumia.com. 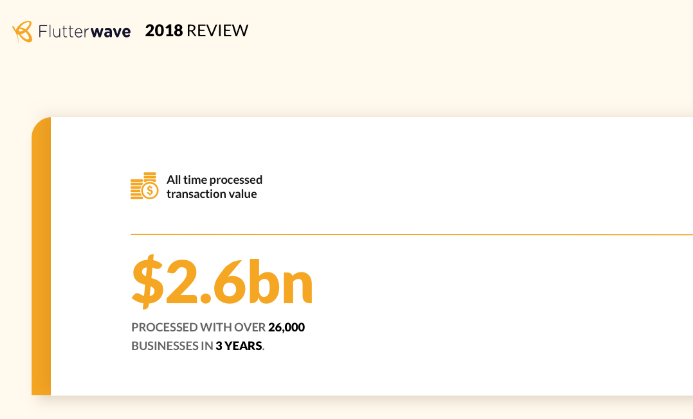 Flutterwave has processed 100 million transactions worth $2.6 billion since inception, according to company data. The company has raised $20 million from investors including Greycroft, Green Visor Capital, Mastercard, and Visa. In 2018, Flutterwave was one of several African fintech companies to announce significant VC investment and cross-border expansion—see Paga, Yoco, Cellulant, Mines.ie, and Jumo. Flutterwave added operations in Uganda in June and raised a $10 million Series A round in October that saw former Visa CEO Joe Saunders join its board of directors. The company also plugged into ledger activity in 2018, becoming a payment processing partner to the Ripple and Stellar blockchain networks. Flutterwave hasn’t yet released revenue or profitability info, according to CEO Olugbenga Agboola. Headquartered in San Francisco, with its largest operations center in Nigeria, the startup plans to add operations centers to South Africa and Cameroon, which will also become new markets for GetBarter.